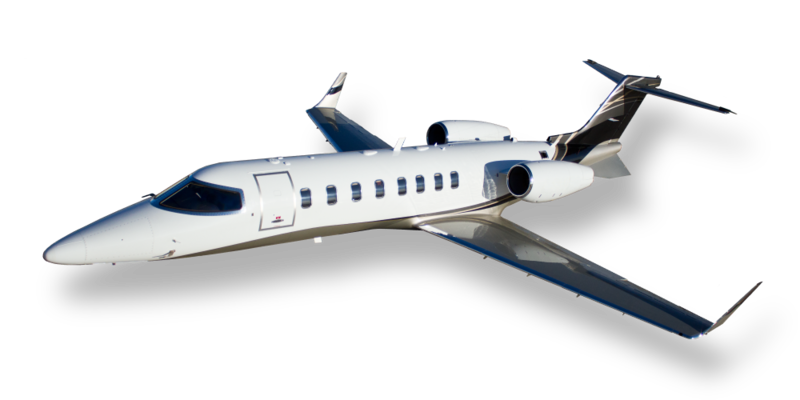 The Learjet 45XR super-light jet once again rekindles the flame of Bill Lear’s aviation revolution. This rendition of the jet-set original features a double club interior with comfortable seating for eight, a forward galley, a cabin entertainment system, and an enclosed lavatory. Soaring high above congested flight lanes and unstable weather at altitudes as high as 49,000 feet, the Learjet 45XR is an exciting step forward in legendary Learjet high performance. It features a 2000 nautical mile range and a 535 mph cruise speed. The Learjet 45XR is even optimized to handle high-altitude airports, such as Aspen, in hot temperatures, without sacrificing speed, range or comfort.